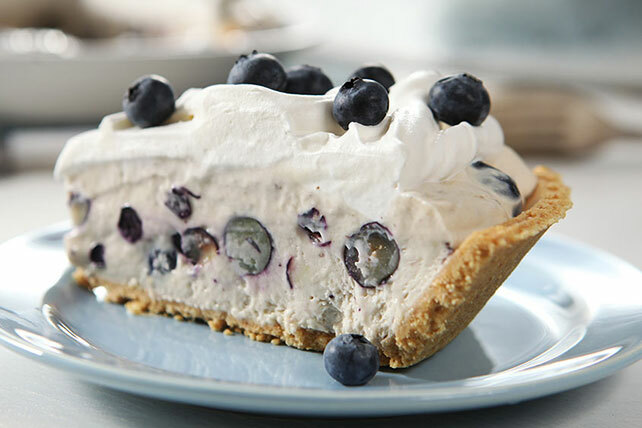 Bring together flavored yogurt and blueberries for our Yogurt & Blueberry Cream Pie. This blueberry cream pie is finished off with a dollop of COOL WHIP. Whisk yogurt and milk in medium bowl until blended. Add dry pudding mix; beat 2 min. Stir in 1 cup each blueberries and COOL WHIP. Refrigerate 4 hours or until firm. Serve topped with remaining COOL WHIP and blueberries.